We have put together a guide to making money at home and online. Unlike ‘trading schemes’ or similar investment-based opportunities, our suggestions do not involve any upfront investment, other than your time and incidental expenses. We continue to update this page - if you would like to share any other methods you use to make money online (or outside of formal employment), please email us. Warning: If you’re interested in ‘online FX trading’, ‘crypto’, ‘futures trading’ and any other online-based-invest-and-make-money-schemes, we strongly suggest you get financial advice first and read online reviews. You should also Google the name of the program with the word 'scam' to see what results you get. Many of these 'programs' are scams and/or advertise with fraudulent statistics, suggesting that investors are successful when they are not. ​UserTesting.com is a popular platform offering anyone with a computer and microphone the ability to earn between US$10 and US$60 for 20 minutes work. You sign up, fill out your profile and wait for an invite to a test. You’ll then be paid to test a website experience and record your observations in a screen and voice video. New Zealanders are accepted, but must be able to speak clear English. Qmee pays you to browse the web as you normally would - it values your behaviour online and tracks what you look at. If you make a purchase online, Qmee has a series of partners that will pay you a bonus. It also offers surveys from time to time. What can I earn? Anything, from 5 cents for clicking on an advert, to a few dollars for making a purchase. Qmee also offers surveys, but these tend to pay poorly and are few and far between for NZ-based users. Perhaps the best-known way of making money online is using online surveys. If you are between 18 and 65, chances are a company wants to hear your thoughts so it can fine-tune its marketing. There are dozens of websites offering to pay you to complete surveys, but getting paid and making sure the offer is legitimate can be a big problem. Our short list below includes the companies more trusted to deliver. 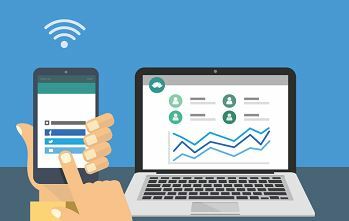 Time investment: Signing up to each website will take around 10 minutes, and then the time responding to surveys and invitations after that. What can I earn? Online surveys usually pay between 50 cents to $5 or even $10, depending on the number of questions and value in what you're being surveyed on. Overall, online surveys usually pay less than minimum wage if you add up your time. However, the convenience of working from home with easy work is attractive. How am I paid? By PayPal, bank transfer or voucher - check the terms of payment before you agree to spend time completing the survey. Where do I start? Sign up for Opinion World, Valued Opinions, My Opinions, Triaba, Smile City and Mob Rog, in that order. 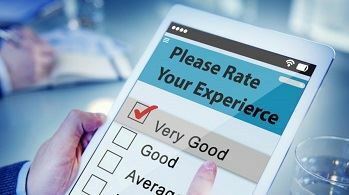 Difficulty Level: Easy - online surveys are not usually difficult to complete, but being 100% truthful means your data will be valid and increase your future survey opportunities. Research Panel groups frequently run throughout major cities in Auckland and Wellington, where you can be paid for your thoughts on a particular product or service. The frequency of panels isn't reliable, and getting accepted can be a bit of a lottery. For example, if you're not a smoker, you wouldn't qualify for a panel on smokers. But, despite the limitations, overall the panels can be a nice way to spend a few hours and be paid for your thoughts. The panels are either virtual (i.e. conducted online) or in person at the research company's office. What can I earn? It depends - you can earn as much $100 or even $150 per panel. The best way to get opportunities is to sign up to ALL of the research panel companies, and make yourself available when they contact you. How am I paid? Usually by bank transfer or gift card. For non-cash payments, you will be given gift cards. Where do I start? Visit the websites of the main panel research companies, and sign up. The most reputable include Colmar Brunton, Prime Research, Perceptive Research and Research Minds, in that order. Auckland Transport and Reid Research also offer research panel opportunities, but payment is by way of a 'prize draw'. So unless you 'win', you won't be compensated for your time. High-value website: a website about Amazon product reviews is likely to be of value because the people reading it are looking to buy something. Low-value website: a website about walks around Wellington isn’t like to attract many visitors and the value of whoever reads it is going to be low because they probably don’t want to buy anything. Time investment: This really depends on you - setting up a website is easy, and there are lots of videos online to guide you. What you write about and how much effort you put in is 100% up to you. What can I earn? Anything, from a few cents per advert click to hundreds of dollars per week (or more) from referral traffic and affiliate marketing. Best of all, your market is worldwide so you can talk to a much larger audience than 5 million New Zealanders. How am I paid? By cash usually, from Google, Amazon and any other websites. You typically have to earn a minimum amount before your first payment, which can be as high as US$100. Where do I start? 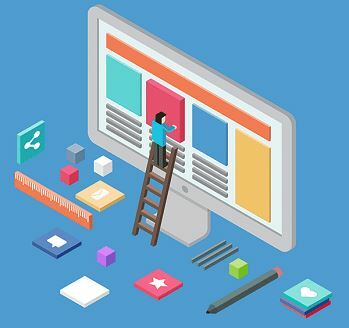 Sign up for free with Weebly (our recommended website builder, and the same tool we use at MoneyHub) and build a website in minutes. Difficulty Level: Medium - many blogs work, but persistence and being original are both essential factors. While UBER Eats delivery wouldn't be working from home, it's flexible and an in-demand job. Uber Eats is hiring in Auckland, Hamilton, Tauranga, Wellington, Christchurch and Dunedin. If you live in or close to the CBD, have a smartphone and own a bike, you can work the hours you want and get exercise. 3. How am I paid? By bank transfer, every week. 5. Difficulty Level: Medium – it’s physical work, but flexible work-your-own-hours, although you’ll be self-employed and have to organise your own taxes etc. Also, you are not guaranteed deliveries - how much you earn depends on your speed and the number of orders being made and other delivery people. Clickworker.com offers paid tasks, usually in the form of proofreading, categorising data, online research and completing surveys. You earn cash, not vouchers, and tasks are available if your profile matches. What can I earn? Clickworker suggests US$9 (NZ$14) per hour is the average for a new user, but it can grow to US$20 (NZ$29) per hour once workers get more experienced. How am I paid? By PayPal. Difficulty Level: Easy to Medium – you’ll need to have a good command of English to complete tasks. Fiver.com is a massive site used by businesses and entrepreneurs looking for one-off projects - examples include proofreading, graphic design, translation, video creation, Pinterest and Instagram image creation, photoshopping – the list is endless. What you offer is called a 'gig' and you set a price for it. For example, make a logo for $25. To get a feel for what the site is offering, browse around the homepage for the latest gigs, search for work or services that you specialise in and decide if Fiverr is worth your time. Time investment: An hour to set up a gig page, time responding to leads who message you, and the time spent to complete an 'order'. What can I earn? It depends on your skills. 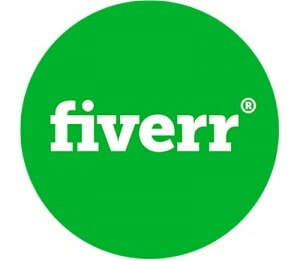 Gig for US$5 is where fiverr.com gets its name from, but the reality is many gigs are US$10, US$50 or custom quotes. What you make depends on your skills. Difficulty Level: Easy to Medium – you’ll need to have a skill that you can sell - examples include proofreading, graphic design, translation, video creation and other services. 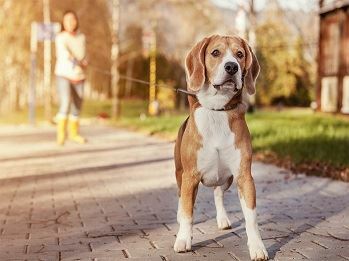 Dog walking is big business - websites like Pawshake have sprung up to let dog owners meet dog walkers. If you like dogs and are willing to exercise them in all weather conditions, rain or shine, then it's a great way of making extra money. Beyond Pawshake, you can promote your services using local Facebook groups as well. Time investment: An hour to set up a profile or advertising, time responding to leads who message you, and the time spent walking the dog(s)! How am I paid? Usually in cash. Where do I start? Pawshake is the most prominent website on Google - getting reviews, a photo of you and a dog, and being available when people are at work and dogs need walking are surefire ways to boosting your dog earnings potential. Difficulty Level: Easy to Medium – you’ll need to have transport or the means to get to a dog owner's home, patience and be responsible. Also, punctuality and reliability are the two most important factors for a dog walker's success. There is an insatiable demand for English teachers working online with Korea and China-based students, the pay is good and the work is rewarding. It would be perfect but for the fact the hours are very unsociable from New Zealand. Chinese students typically study English from 6pm to 11pm their time, which is 11pm to 4am New Zealand time. Korea is not much different. Nevertheless, if you're keen to progress, you will need to be both fluent in English and have a bachelor’s degree. It works like a normal private school - you are hired directly, and they supply you students to teach. Before you rush off to apply for a position, check that the organisation accepts New Zealand based teachers. And make sure the school as a positive reputation and won't weasel out of paying you later on. Time investment: You will need to make a few applications to get an interview. Once you're hired, lessons are usually an hour in length, although you will need to spend time preparing (which isn't paid). What can I earn? It depends, but US$20-25/hour is a good indication (NZ$28-$36), although it may be higher. How am I paid? Usually by bank transfer - check with your school before signing up. Payment frequency is also important. Where do I start? TeachAway is the most prominent resource and lists a number of options, so it's a good place to start. Difficulty Level: Medium – teaching can be tough work, and doing it online doesn't make it easier. Also, students may cancel at the last minute, so being clear on how you are paid when this happens is essential. Finally, due to the time difference between Asia and New Zealand, the working hours go into the early hours of New Zealand mornings. Babysitting is always in demand, as is childcare in general. While it depends on the kids, babysitting has a reputation of being very relaxed and easy going. If you are happy to 'work'​ unsociable hours (evenings, weekends etc), it can be very rewarding financially. In today's times, you don't flyer letterboxes advertising your services - you list online. BabySits New Zealand, Trade Me Services and local Facebook groups are good places to start. Time investment: An hour to set up a profile or advertising, time responding to leads who message you, and the time spent babysitting. What can I earn? It depends, but $20/hour is a good indication. Where do I start? BabySits New Zealand is the most prominent website on Google - getting reviews and a friendly profile up and running are key to kickstarting your babysitting earnings potential. Difficulty Level: Easy to Medium – you’ll need to have transport, patience and be responsible. Also, punctuality and reliability are the two most important factors in a babysitter's success. Parents react very badly if you have to cancel a booking within 24 hours of the agreed time. E-books are free to publish and sold in their millions via Amazon’s Kindle store. Best of all, authors earn around 70% of the price of a book. But even though millions of people download e-books every day, selling one can be very tricky. Data released in 2017 suggested only around 1% of all the people self-publishing e-books are making more than $100 a year from doing so. If you know a lot about a subject, such as guides to common problems, it costs nothing to give it a shot. Many authors advertise their e-books on Facebook and other social media websites, which may or may not be cost-effective. Time investment: High - e-books may be easy to write if you know your subject matter, but research is needed and this can be very time-consuming. How am I paid? By PayPal or bank transfer. Difficulty Level: Extremely Difficult – the chances of any making any money are extremely low, as many new authors give their books away for free. 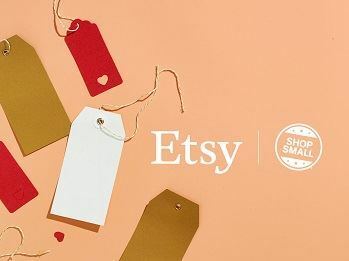 Etsy is an online marketplace for anyone making unique and creative products such as jewellery, crafts and clothing. It has 200 million sellers, but a lot more shoppers who like to buy on the site. If you can have a talent for making creative products, then ETSY may be for you. You work your own hours and create and ship orders as they come in. Standing out in the crowd can be a challenge, and it does take some time to get momentum, yet many New Zealanders make a living on ETSY. Time investment: About an hour to set up a page, with more time spent on photography of your merchandise, responding to customer questions and trips to the post shop. Photography of your merchandise makes or breaks an ETSY store so investing the time in getting it right will help. What can I earn? This depends on what you sell - if your items are in demand, you can charge more. How am I paid? Bank transfer (via ETSY Payment). Where do I start? Read an overview of getting set up on ETSY and top tips to make it a success. Difficulty Level: Easy to Medium – it really depends on your skills, and what you're selling. Also, customers can be problematic so you'll need to have good service skills for emails. It's likely that the average home in New Zealand has more than it needs by way of clothing, electronic equipment, household items and unused toys and games. Trade Me is a perfect way to de-clutter and sell down unused items, and get paid for doing it. Membership is free and the majority of users respect how Trade Me works, so sending sold items to your buyers is very easy and safe. It's not a one-off money-maker - you can set a reminder every year to hunt and gather items you no longer need. Time investment: Low - setting up and account and listing items is easy, and very affordable ($1-2 maximum). What can I earn? A lot more than many people think - second-hand items can get good prices. What you earn depends on what you already have. How am I paid? By bank transfer. Where do I start? Read our Trade Me Selling Tips guide. Difficulty Level: Easy - Trade Me is simple to use and instantly connects you with millions of browsers. If you have a spare room, Airbnb is a popular way to make some extra money for very little effort. Thousands of New Zealanders are doing it all over the country, and enjoying the experience of meeting local and foreign visitors while earning money for every guest. 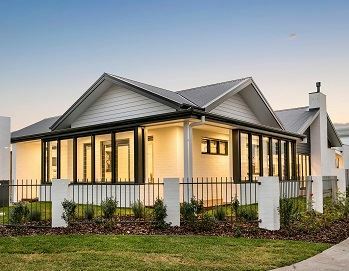 It's free to sign up; you'll need to get some photos of your home and decide what to offer. Best of all, despite the name, hosts are under no obligation to provide breakfast. Basics requirements tend to be WIFI, reliable heating and hot water and a comfortable bed. Time investment: An hour to set up a profile and home listing, and ongoing replies to messages from potential guests. What can I earn? You set the rate per night. Airbnb pays hosts around 97% of what you charge, so if you offer a room for $100 a night, you will receive $97. How am I paid? By bank transfer, usually 2-3 days after a guest arrives. Where do I start? Visit Airbnb and sign up. Difficulty Level: Easy to Medium – you’ll need to have a room that's ready for guests, and be available to check people in (or trust leaving out a key). You will also need to spend time cleaning afterwards and preparing for the next guest. Thousands of international students attend New Zealand schools every year, with most coming from Asia and living all over the country. With the exception of 'exchange students', who come via a program such as Rotary or AFS, most others pay to attend school and for accommodation. If you have a spare room and are open to the idea, it can be financially rewarding - many schools and programs pay at least $200 a week. It's not a full-year commitment either, as students usually return to their country in the holidays. International student hosting has had a bad reputation, primarily from New Zealanders using it as a cash cow and putting students into a 'farm'. A 'farm' is when 3, 4 or even 5 students live with a single man often disinterested in the students' experience. It's not that they don't specialise in haute cuisine (they don't), the issue has been students feeling unwelcome in the home they've been assigned. New Zealand has so much more to offer, so if you're a family or couple, you are likely to be welcomed by a school who is itself looking to attract more international students. Time investment: It is an ongoing commitment - once you apply and are approved, you will spend at least 40 weeks a year with the student. If you prefer something less of a commitment, many international schools offer 2 to 6-week placements. These schools tend to be in Auckland, Wellington and Christchurch, and the students are often a little older. What can I earn? Around $200, sometimes less, sometimes more, depending on your location. Difficulty Level: Easy to Medium – you’ll need to offer meals (breakfast and dinner primarily) to school-aged students, fit them into you and/or your family's routine, and make an effort to socialise. If their English isn't fantastic, it can be tiring to communicate, but part of the experience is that the student learns English from their host family. Do you Work from Home and Have Tips to Share? We continuously update this page and would love to hear from you. Please email our editorial team at team@moneyhub.co.nz.